My first experiment with gesso and acrylic paints – see the texture? Back in February 2013, I was really just in one of those moods, the creative kind, you know? Its been hard lately to find the time to really get creative for a full 8 hours, sometimes I only have time to “let loose” for a few hours during the day when I can sneak in a little refashioning or jewelry-making. So back then I was under some stress getting ready for my sister to have her babies, and the baby shower was shockingly close, I just needed to get creative! So I did. 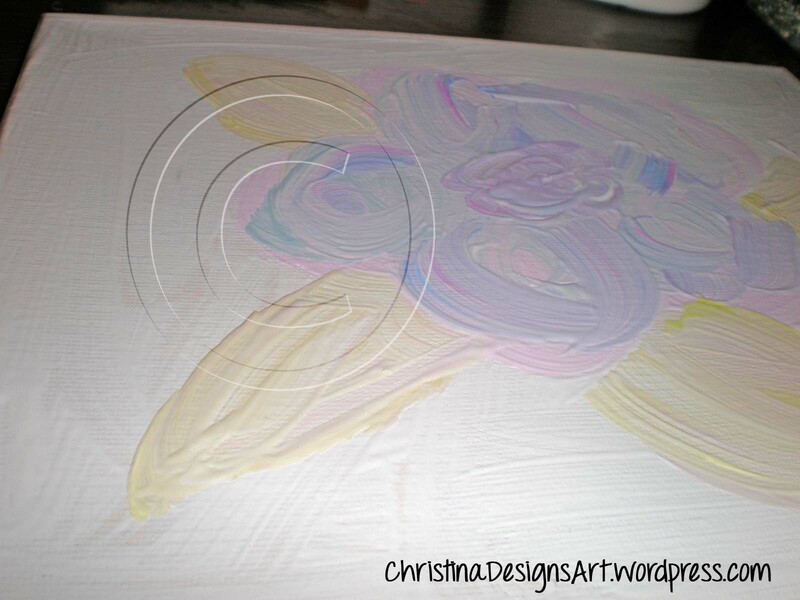 I did some experimenting with gesso and different textures and swirling colors. I picked 3 colors that I thought were soothing and relaxing and just mixed and blobbed them around. I made the larger 8″x10″ paintings first. Then as I was laying them out, I decided they really needed to be balanced with other sizes. So I grabbed the colors again and started mixing the paints, trying something new! This was a great exercise in letting go and trying something less structured than what I usually paint. I am very pleased with the results and the silver beads add just enough bling to the paintings. They have also been sealed in a gloss which I really love the look of! PS. Sorry about the photo quality, photographing my paintings is something I still haven’t become too competent at! But I am trying 🙂 Also, colors may vary because of computer monitor differences, but I have tried to accurately display my colors choices and describe them to you. 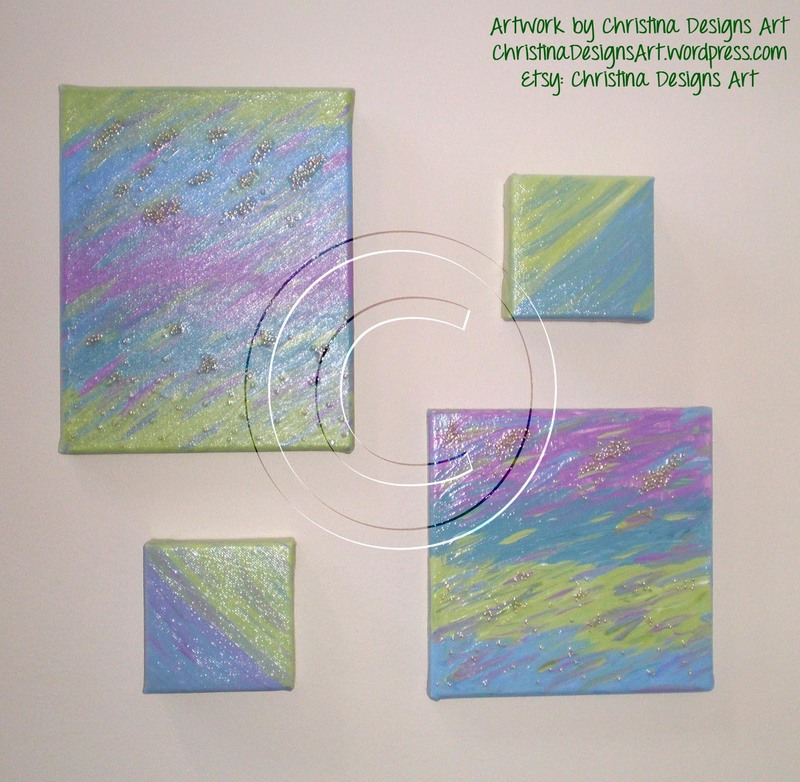 This entry was posted in Art, Shop and tagged Acrylic paint, art, buy original acrylic paintings, Color, Gesso, handmade artwork on October 20, 2013 by christinapertz1.